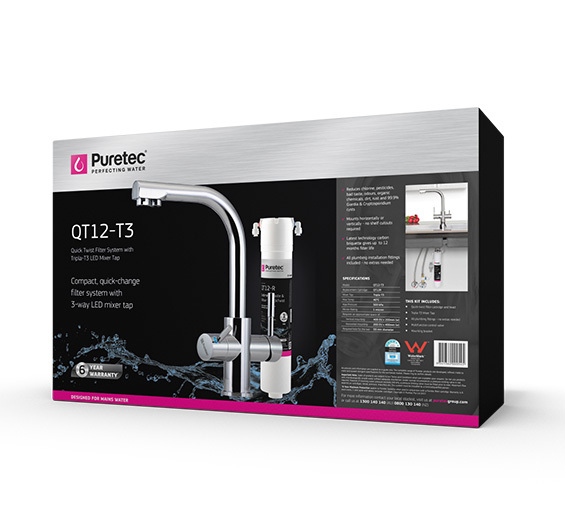 The QT12-T3 ‘tap & filter’ package incorporates the latest QT12 filtration technology and the Tripla triple-action-tap all-in-one system. 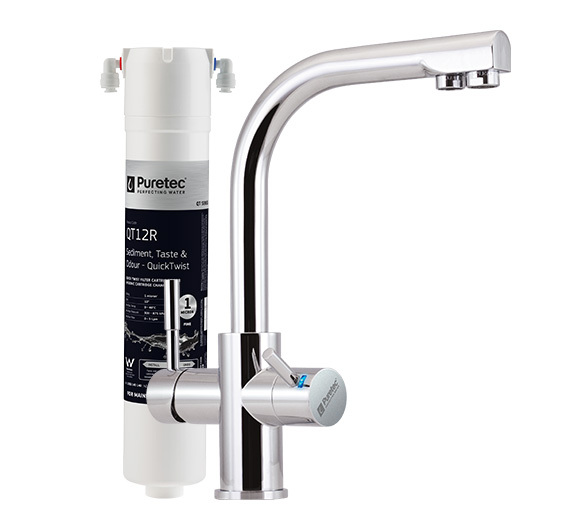 The Puretec QT12 reduces chlorine, taste, odour, chemicals, sediment and cysts, leaving all vital minerals. 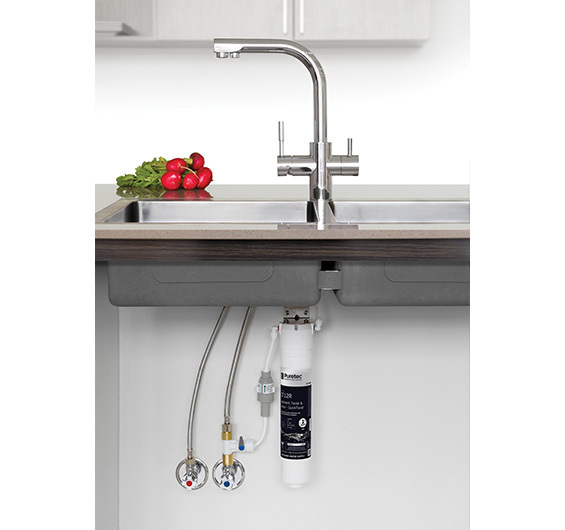 This innovative filter is easy to install, mounts horizontally or vertically and valve-in-head technology means the water supply is automatically cut off when you change the cartridge. The QT12 can be as easily replaced as changing a light globe! The Tripla 3-in-1 mixer tap gives you hot, cold, filtered/or rainwater water, all from just one mixer. The filtered and unfiltered water have completely separate lines inside these taps which means there is no cross contamination between filtered and unfiltered water. Enjoy water the way it should be, abundant, clear and beautiful tasting from your own water supply, any time of the day.